This article could save you thousands of dollars in fees. KIWISAVER. THIS ARTICLE WAS PUBLISHED ON 13 MARCH 2017 AND IS SUITABLE AS AT THIS DATE. THE MOST SUITABLE KIWISAVER PROVIDER FOR YOU MAY CHANGE OVER TIME. At the bottom of this article, I recommend a Kiwisaver provider for young professionals. For most people, spending minutes (MINUTES!!) to switch to this provider will save them thousands of dollars in fees over the course of their lives. You can skip ahead to my recommendation. But I would be grateful if you read this article about why I have recommended this provider and how providing this information free of charge aligns with the philosophy of my new business, Fairhaven Wealth, and the value that a financial adviser can provide to clients. I would be grateful because not only am I saving you money, but I’m also putting my neck on the line. I’m providing advice for free, and this may not make me popular with some of my peers in the financial services industry. This is especially the case for product issuers and advisers affiliated with certain product issuers, and also for financial advisers who take a different view in relation to the value a financial adviser provides. It’s easy to equate financial advice with recommendations about financial products, such as Kiwisaver products, specific investments, or insurance products. However, this is only a small part of what a good financial adviser does. A good financial adviser isn’t focused on products. A good financial adviser is focused on clients. Kiwisaver is an easy product to advise on, because there are a limited number of Kiwisaver products on the market, and there are only a limited number of features that distinguish them. Kiwisaver is also in place to address very specific, limited needs. However, most other advice involving strategy or specific products, requires getting to the know a client’s circumstances, needs, and objectives. Keeping abreast of changes in what is available in the market, and how these changes align with your ever-changing circumstances, needs, and objectives. Recommendations aren’t static. The most suitable provider changes over time. If I’d written this article this time last year, I would have given you a different name to the one I’m giving in this article. Why? Because this provider didn’t exist 12 months ago. This time next year, my answer may be different, because of new entrants into the Kiwisaver market. Doing the research with Kiwisaver isn’t hard. If you put in the time, you’d probably come to a suitable conclusion. As with many services, many things a financial adviser does involves things that an engaged client could do on their own. But you’re busy. You have other things to focus on and enjoy in life. Why not outsource that job to someone else? The broader world of financial products and strategies is more complicated. If you have the time, energy, and inclination, you’d probably be able to develop a good plan and implement it. But there are many times where it’s worth asking someone else to keep abreast of things rather than spend your own time and energy. Engaging a professional can also make you more confident about the decisions you make. WHY am I recommending this provider? I’ll remove the suspense: the provider I recommend is Simplicity. I recommend Simplicity because it’s the lowest fee option in the market, and invests in index-based funds. This means that compared to any other provider on the market, you’re going to save money in fees. And it means that you’re going to get returns equivalent to the market. When it comes to financial products, fees don’t seem like a lot. What’s the difference between 0.5% and 1%, really? If you have $20,000 in Kiwisaver, that’s the difference between $100 and $200 per year. Saving $100 doesn’t sound like much. But multiply that over 10 or 20 years, and we’re talking $1,000 to $2,000, for minutes of work. Compound those figures – by factoring in the income foregone on the savings – and the differences get bigger. Your Kiwisaver will also increase. Soon enough, your Kiwisaver balance might be $100,000. $500 per year is getting substantial – close to $10 per week. That’s $5,000 over 10 years. The effect can be thousands, if not tens of thousands of dollars, in fees that you didn’t need to pay. Another thing to consider is what you’re paying those extra fees for. The 1% you’re being charged shouldn’t really be benchmarked against the total amount of your assets. It should be benchmarked against the income that your assets generate. If you’re generating 5% per year, then 1% of 5% starts to look pretty high. That 1% represents 20% of all income that your investments are generating. If paying an extra 0.5% in fees means that you get a 1% increase in return, then the investment manager is actually getting half of the returns you’re actually generating. You are taking the risk, but they are taking a lot of the benefit. That’s an “If”. As I explain below, I’m skeptical that you can guarantee higher returns by actively investing, especially after factoring in the costs of doing so. The return you receive may be lower than you would have received from an index-based fund. In which you’re paying extra for reduced performance. This relates to another point I want to stress: A great financial adviser can add value by de-feeing your portfolio, so you’re not paying more in fees than you need to. A 0.5% difference may not seem like a lot for a $100,000 investment. But for a $1,000,000 investment, that’s $5,000 per year, or nearly $100 per week. Why pick investments when the market will do it for you? There are a lot of people who are intelligent, dedicated, well-resourced, trying to value assets in the financial markets on a full-time basis. And they are up against equally intelligent, dedicated, well-resourced professionals. In this situation, we have clever people buying and selling financial assets from other clever people. We start to see the “paradox of skill” – the more clever people there are, the harder it is to outperform all of the other clever people, especially after factoring in expenses, including their (often generous) salaries. We also find that the market price for financial assets represents the accumulated wisdom of many clever professional people negotiating with each other. No one can ever get valuation exactly correct, because this involves predicting the future, which is uncertain. The easiest, and cheapest, thing to do, is “buy the market” – don’t pretend that you’re smarter than all of these other people, and accept the prices they negotiate. You can do this by buying into index-based funds. Which is exactly what Simplicity does. Each of its investment options is spread across over 7,000 investments in 23 different countries. Simplicity doesn’t try to beat the market. It accepts that it will essentially perform the same as the market in general, and – more importantly – won’t get beaten by the market. In a lot of respects, investing is a loser’s game. The aim shouldn’t be to win. The aim should be not to lose. I touch on these themes extensively elsewhere in this blog. Joining Simplicity is easy. I did this recently, and it took minutes. MINUTES. For something that is likely to save me thousands of dollars over the course of my life. If you’re a young professional with decades to go until you reach 65, and you’re not planning on using Kiwisaver funds for purchasing a home, then I recommend Simplicity’s “GROWTH” option. You will experience ups and downs, but it’s likely that if you stay in this option over the long-run, you’ll end up in the best financial position. I can’t predict the future. I can’t guarantee outcomes. But I can tell you that your returns will resemble the performance of the global economy in general. I can also tell you that you won’t be paying more in fees than you need to. This is class advice, which means it is general and not specific to your personal circumstances. Your circumstances may be unique, and this may render the advice inappropriate. If you want personalised financial advice, see a financial adviser. A Primary Disclosure Statement is available free of charge and on request. You can find it here. I am not affiliated with Simplicity in any way. 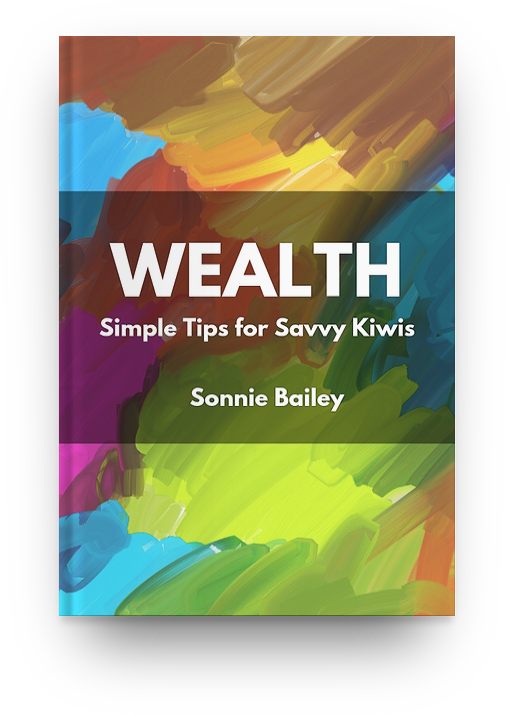 My personal Kiwisaver funds are with Simplicity because I think they are the most appropriate Kiwisaver provider for me. This is also what I recommend to friends and family.